We were married 300 days from our first date. What most guys don’t realize until they’ve finally decided that they want to marry someone is that the actual proposal can either be incredibly easy to plan, or incredibly difficult depending on how much you’ve been paying attention to your girlfriend up until that point. If you’ve just been hanging out, not paying attention to places she likes, things she likes, proposal stories she thought were terrible, etc., then you’ll have a really tough time planning the proposal. Like most things with Lindsay, she never failed to point out places that she loves. Again, and again, and again. So I knew on our 3rd or 4th date, once she had told me two or three times already that she had quote “walked by our bench in Rittenhouse Square” (our bench being a bench we had sat on once before that point), that this might be a prime spot for a proposal. Of course, I had only an inkling at the time of what might happen between us. Flash-forward one week and I had a better idea of where things were going. I told my parents about a day I had picked out, and picked out a time of day, and restaurant as well. I picked out the ring rather quickly too, all with Lindsay once a day asking me why her hand was “so naked”. To alleviate some of the pressure, I gave her hints about when this said proposal might occur. These didn’t really help the situation, but at least it gave me something to buy myself sometime until that “perfect” day came about. Finally the day had come: March 12, 2012. The plan was to meet her in the afternoon, and head over to a restuarant near Rittenhouse around 6, which was supposed to be around dusk (her favorite time of day). No one told me that daylight savings time was going to occur the week before this, and that it was going to be a particularly bright and sunny day, so instead of a dimly lit, lightly attended park, I had a circus of people and almost no benches free (included our bench!). So I had to improvise and find another bench somewhere else, all the while my brother was secretly tracking us through the Square, hiding in groups of young children. Finally we found a bench and I had a conversation with her about something, I literally can’t remember it. I do remember the people across from us having relationship issues and thought it was ironic. Finally, I just thought, “well, now’s a good a time as ever, and the people aren’t going away”. I started to pull the ring out and she hyperventilated. I didn’t know what to say, so I said: “Do you want to see it?”. What the heck does that mean? She said she didn’t know, so I took that as a yes and got down on one knee. I asked her, she said yes, and I got up. It was perhaps the longest and also fastest moment of my entire life. 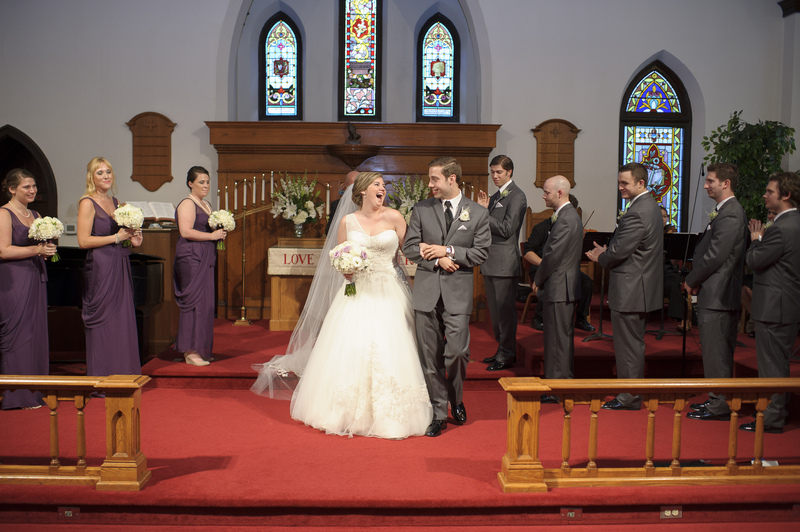 It wasn’t the perfect situation I had envisioned in my mind, but it was perfect for her and it also became a really funny story to add to our list of funny stories. It was also the scariest moment of my life, but resulted in the best thing that has ever happened to me. I had an inkling that it was happening between March 10-12. I was just back from a business trip, it fit in the timeline and all the hints he had given me only because I begged him mercilessly. Perhaps, I put a smidge too much pressure on the poor guy- in the months leading up to the proposal I must have referenced several times a week that my hand looked so naked without a ring. I tend to be a little over the top, but I couldn’t contain the fact that we decided we wanted to spend our lives together, and I wanted to tell (and show) everyone! Jordan came over in the afternoon, dressed really nice from working so I tried to not feed into my crazy on “this must be the day”. But of course it did. It also was the last day on my anticipated time block so I was antsy. He was acting really weird, mumbling about how he had felt nauseous all day, even trying to blame it on some hummus and pita from the night before- weird. I knew we were going to dinner and Jordan said that we could stop at “our bench” on the way to the restaurant. “Our bench”, I cleverly coined following our second date where we sat there for hours upon hours talking until we got caught in the rain and raced through the streets of Philly until we got to his car- that was the night I really fell for him. We walked through Rittenhouse Square, on the first nice day in a while, so it was packed! It took us a while to find a place to sit, our bench was occupied and we had to sit across from an arguing couple, who you can easily spot in our engagement photos. Being the noisy and people-watching person that I am, I couldn’t stop listening and/or watching them. Jordan was completely silent, looking away from me so I just mumbled a “isn’t this so nice we can just sit here together..” no answer for him. While I was watching my new found conflict-ridden friends across from us, Jordan is paying no attention to me until he lets out a “this is not how I wanted to do it”. Obviously, my head whipped around to see him clutching something shiny in his hand. He asked me if I wanted to see it. Now, I have never seen a romantic comedy where the guy says that, so clearly I was at a loss as to what to say. Do I say yes? Does he want me to say yes? Is this a trick? Do I say no so he can say whatever he wants to say…if I do say no, does that mean I never get to see it? Can I ask him what I am suppose to say?… I was at a loss, but luckily hyperventilation took over and Jordan started tearing up so it was fine that I eventually blurted out YES! He got on one knee and uttered the words that every girl dreams of. I still can’t believe it happened and every time I see my fabulous ring, I am reminded on just how thoughtful and generous Jordan is. He orchestrated everything perfectly, it is totally indicative of how incredibly thoughtful he is, I am so appreciative of that. Even though the proposal ended up being different than he planned, I couldn’t have hoped for anything better, it was perfect! Need a wedding photographer in the PA/NJ/DE area? I literally can’t even tell you how great Matthew Szoke is (and he took these awesome shots!). This is SO sweet, I love seeing both the perspectives. Very cute! Such an adorable REAL proposal story! You two are adorable. And P.S. my bridesmaids wore the same dress as yours but in Navy! I love those dresses too–looks great on everyone!